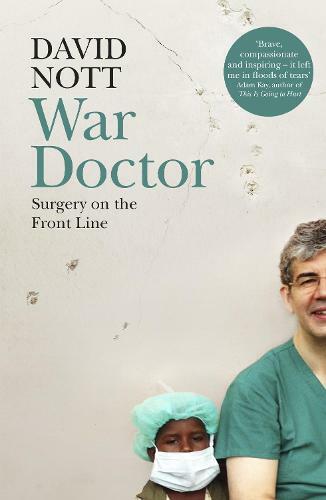 Medicine, but not as we know it: from Afghanistan to Libya, Sierra Leone to Haiti, surgeon David Nott stood amidst trauma and bloodied chaos to deliver extraordinary care. This is war seen through the prism of someone bent on saving life rather than taking it, Nott’s 25 years of treatment on the world’s frontlines distilled as a moving elegy to the simple, moral desire to do the right thing. Vivid and humbling. Driven both by compassion and passion, the desire to help others and the thrill of extreme personal danger, he is now widely acknowledged to be the most experienced trauma surgeon in the world. But as time went on, David Nott began to realize that flying into a catastrophe - whether war or natural disaster - was not enough. Doctors on the ground needed to learn how to treat the appalling injuries that war inflicts upon its victims. Since 2015, the foundation he set up with his wife, Elly, has disseminated the knowledge he has gained, training other doctors in the art of saving lives threatened by bombs and bullets.